The renovated main building of Eindhoven University of Technology (TU/e), Atlas, has officially been opened on the 21st of March. 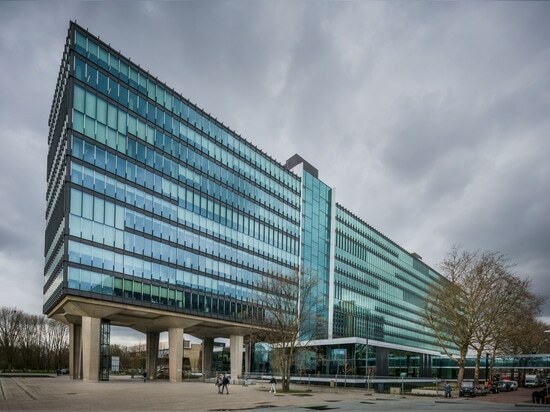 By combining state-of-the-art materials with optimal reuse, the robust Atlas building dating from the sixties is transformed into a light and energy efficient university building by Team V Architecture, Van Rossum, Valstar Simonis and Peutz. 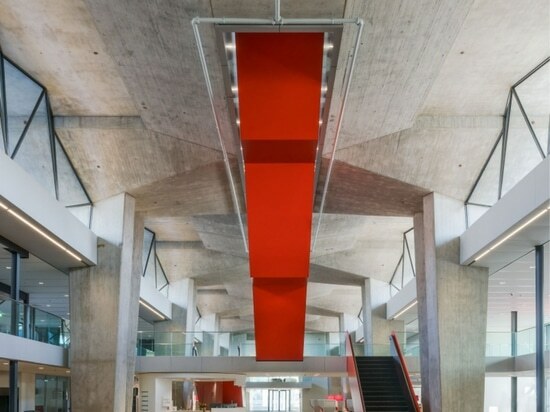 It is now one of the most sustainable education buildings in the world. 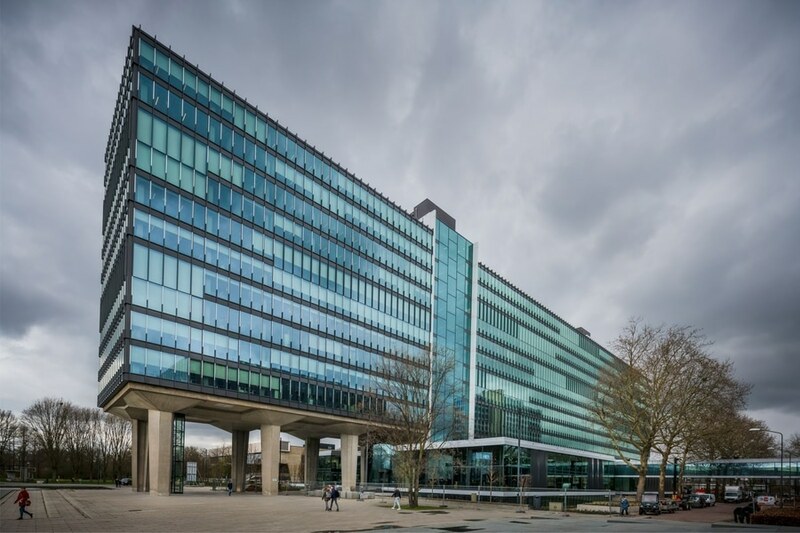 The renovation of Atlas is part of a large-scale renewal of a previously rather closed-off TU/e Campus into an open Science Park of international allure. Due to cultural-historical value, TU/e decided to renovate the Atlas building. Built in 1959-1963, the building was originally designed by architect S.J. van Embden. The building was in need of renewal and did not meet the current quality requirements in terms of design, installations and functionality. 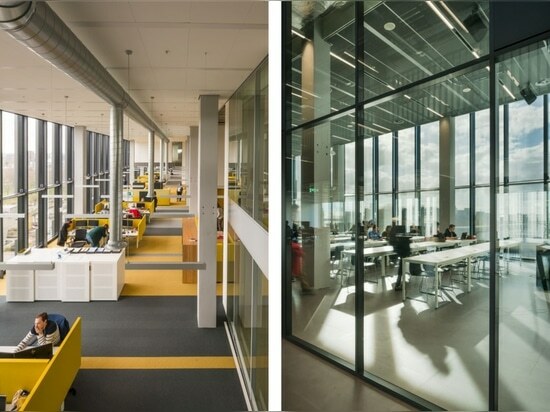 It now houses lecture rooms and study areas for two faculties, a restaurant, exhibition space and work spaces for several service departments and the Executive Board. To achieve the high ambitions regarding sustainability the design-team worked closely with researchers from the Intelligent Lighting Institute of TU/e. 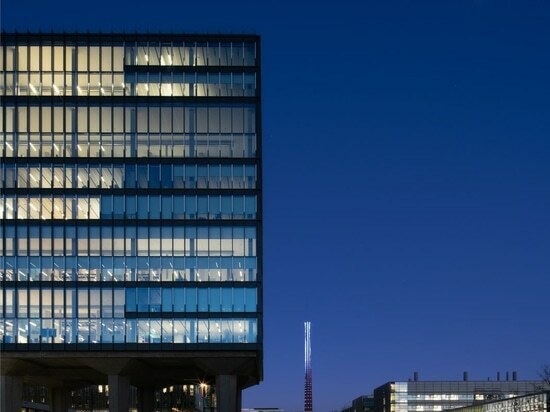 The building acts as a Living Lab for research on innovative and sustainable technologies. 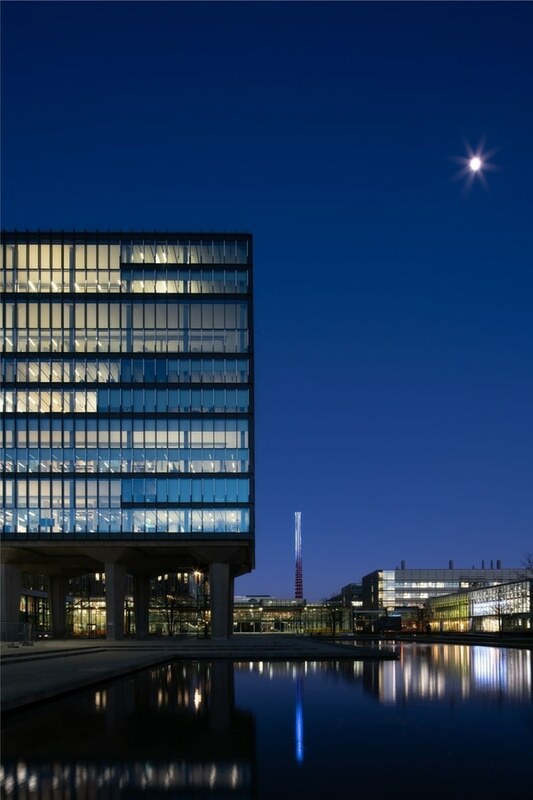 The whole building is equipped with smart and efficient LED lighting, configured at a relatively low light level condition: the implemented Smart Energysaving Light (SEL) system. It is an open system which allows new, project-specific applications to collect data for academic research and reduce energy use. Users can adjust the light settings or room temperature themselves through an app, or make reservations for a meeting room. The design for Atlas, with a gross floor area of 41.500m², has been created by Total Engineer ‘Team RSVP’. Team RSVP is an integral and multidisciplinary design team consisting of Team V Architecture (architect), Van Rossum (construction engineer), Valstar Simonis (building installations engineer) and Peutz (building physics engineer and sustainability expert). 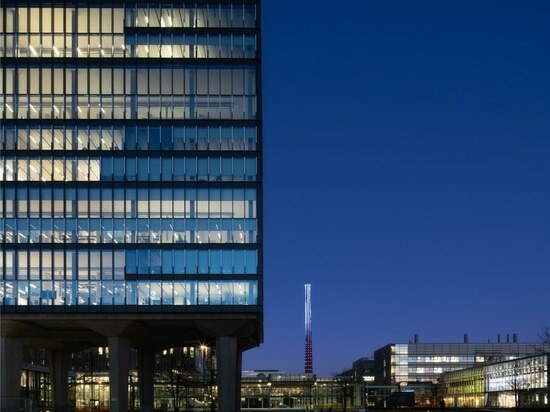 Eindhoven University of Technology has been working on a large-scale renewal of the campus for several years now. 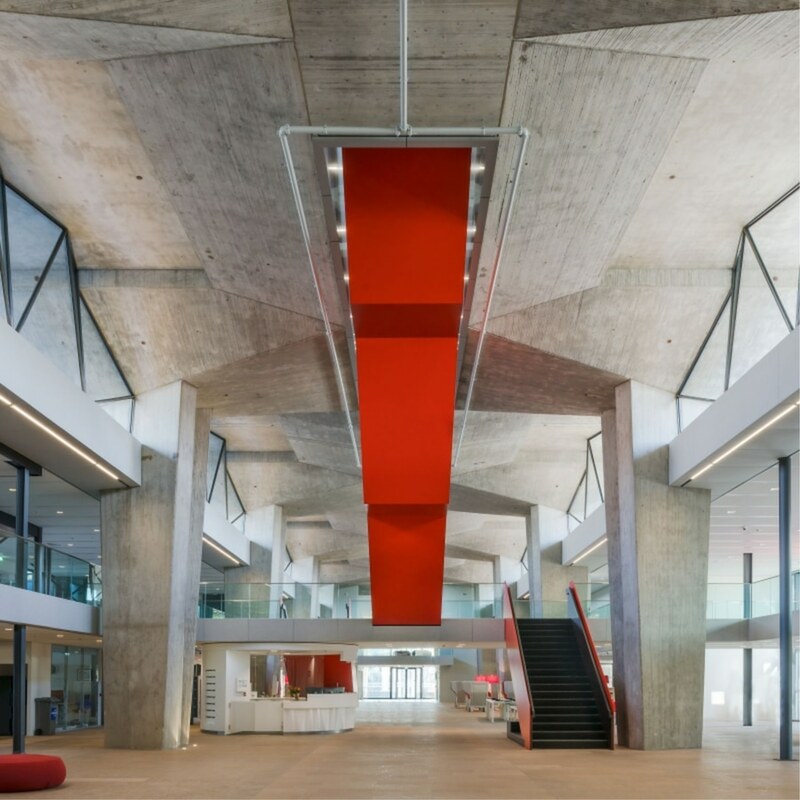 Recently it has been published that Team V Architecture has been selected as the architect for the renovation of two more campus buildings – also originally designed by Van Embden – ‘Laplace’ (1972, 12.000 m2) and ‘Gemini’ (1974, 34.000 m2). Source and photos Courtesy of Team V Architecture.